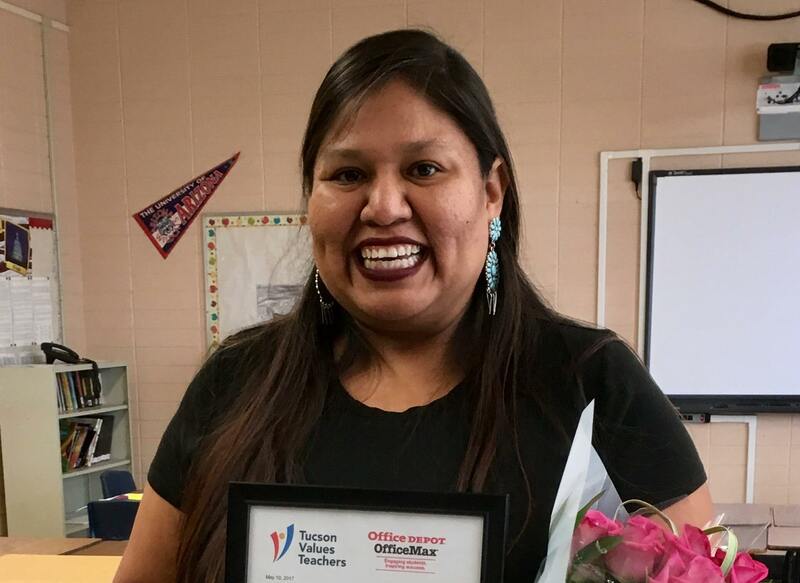 Congratulations Ms. Onsae, an English teacher at Pueblo Magnet High School in the Tucson Unified School District (TUSD). Today she was presented with a #TeacherExcellenceAward and flowers from #TucsonValuesTeachers, a Ben’s Bell from Ben’s Bells Project, a $100 gift card to Office Depot, and pizza for the class courtesy of Humble Pie Tucson! 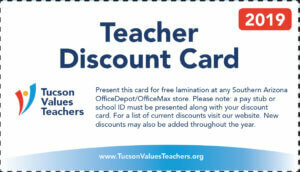 Thanks for all you do for your students – we appreciate you!